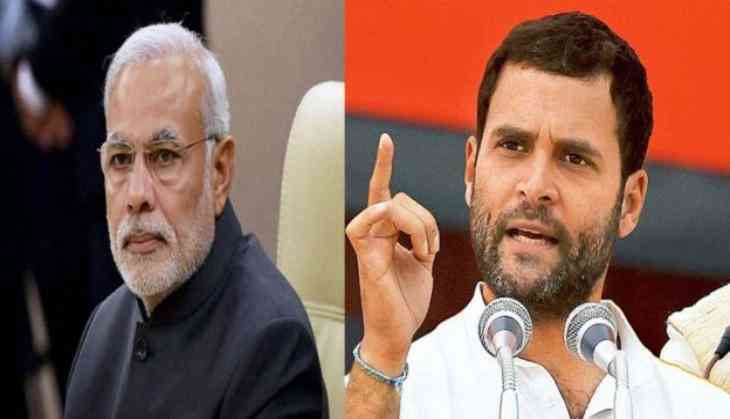 Under attack from the BJP for virtual washout of the recent Budget session of Parliament, Congress president Rahul Gandhi today hit back, saying Prime Minister who has the time to travel all over the country, could not spare 15 minutes for the Lok Sabha. "Prime Minister is travelling across the country but he does not have 15 minutes to give a speech in the Lok Sabha," Rahul Gandhi told reporters in an informal chat with them on the second day of his three-day visit to his Parliamantary constituency . Continuing his attack, Gandhi said, "Nirav Modi fled with country's money but Prime Minister did not say a word... he took out the Rs. 500 and Rs. 1000 notes from the pockets of the common man in the name of demonetisation and put them in the pocket of Nirav Modi.